A long time United Methodist, an Associate Lay Leader in the Catawba Valley District, serves on the Catawba Valley District C4C, and a member of United Methodist Women where she has served on the Local, District and Conference levels. 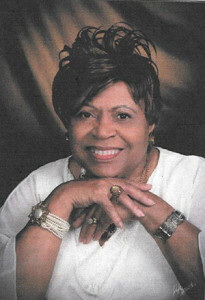 Mrs. Pearson is no stranger to advocating, having served as Social Action Coordinator on the District and Conference levels of UMW. She also brings a great deal of experience advocating on a daily basis during her 40 years of service with the Department of Social Service. She has witnessed how society treats those who are less fortunate and of course has experienced as a woman how women are sometimes treated or taken advantage of because of their gender. It is her prayer to be a blessing not only to women but to all who have no voice and that God will continue to use and provide her with opportunities to show His love by standing up for women and others. A member of FUMC – Newton and new member of the Western North Carolina Conference Justice and Reconciliation Team, Mrs. Pearson was elected as the Convener of COSROW during the Western NC Annual Conference held during June of this year. For questions or concerns regarding issues related to women, you may contact her by phone at 828-464-0711 or by email pearsonpolly12@gmail.com.